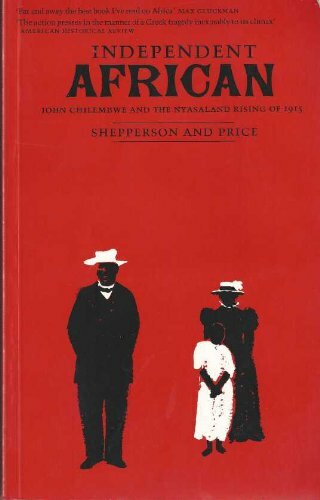 Independent African: John Chilembwe and the Origins, Setting and Significance of the Nyasaland Native Rising 1915 by George Shepperson, Thomas Price: Edinburgh University Press 9780852245408 Paperback - Books for Libraries, Inc.
We buy and sell used institutional libraries, library shelving and equipment, and individual scholarly volumes. Bookseller: Books for Libraries, Inc. Address: Santa Clarita, CA, U.S.A.